Happy June! I can't believe May has come and gone. I am so excited for summer to officially begin! I just found out that I am going on a girls trip with my 2 besties to Hawaii in July so this summer is shaping up to be an epic one. One thing I cannot let myself do right now is shop but holy sales its hard not too. 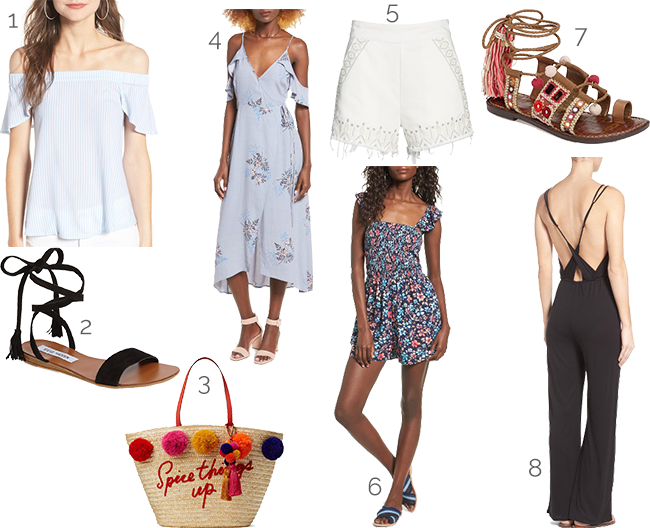 I rounded up my favorite picks from the Nordstrom Half Yearly Sale all perfect for the start of summer. Save up to 40% now through Sunday! Hope everyone is having a fantastic week, we are almost there!